AllegroMedical.com presents The Leader Ibuprofen Caplets. 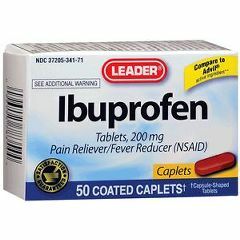 Leader Ibuprofen caplets. For pain relief/fever reducer. Temporarily relieves minor aches and pains.